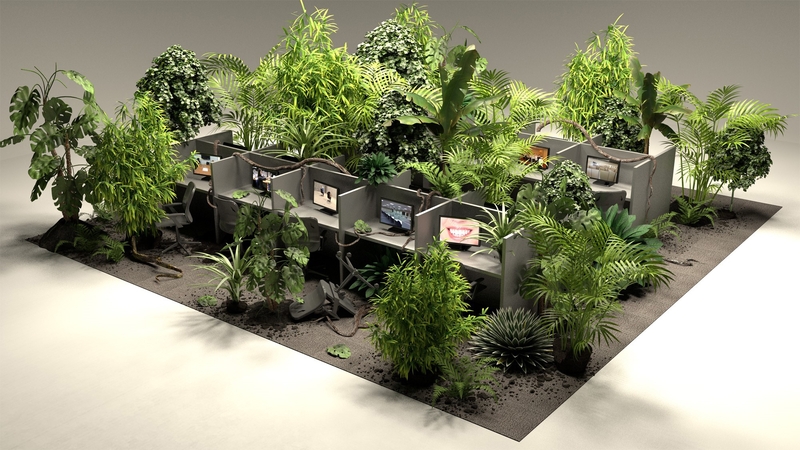 Stéphane Degoutin et Gwenola Wagon, Institut Néoténie pour la fin du travail / Neoteny Institute for the End of Work, Call center à échelle réduite, plantes et films en boucle, 2017. Is work an end in itself? What does it have to do with “real life” and the “good life”? Based on the play commissioned from the duo Degoutin & Wagon (carte blanche) presenting scenes of madness at work, the question of the "end of work" will be examined through various singular practices: hostile attitudes such as sabotage, multiple survival strategies - ranging from the Peter Principle ("in a hierarchy, every employee tends to rise to his level of incompetence") to assumed disengagement (Melville's character Bartleby), or a worker in harmony with his or her biorhythms (work at the pace of life, sexuality at work). But also by misappropriating work for one's own benefit (moonlighting, doing personal tasks on work time) or even going as far as philosophical postures such as the search for a post-work state, and even, more radically, a total refusal of work. So many ideas that provide food for design and that design feeds in its reflections, pitched between humour and diversion, criticism, inventiveness and futuristic theories, like a panorama of diverse pathways under (de)construction. 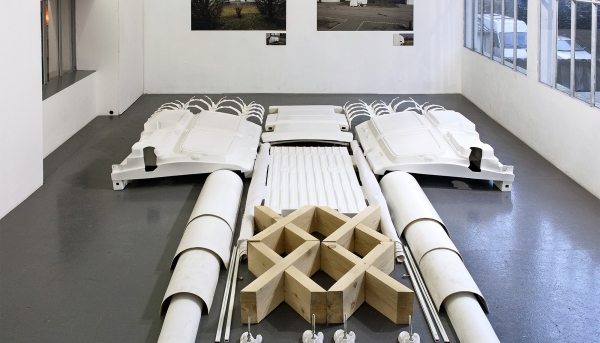 There will also be a carte blanche presentation by designer Thomas Thwaites. Capsule time: "l'envers du décor est un manifeste !" Marie Lechner and the Cité du design research team select a series of manifestos whose content is as diverse as it is engaged, variously zany, fundamental, improbable, visionary - so many visions of work under construction. The entire space is not being seen here as a uniform object. The subjects of work - domestic-workshop-company-building site - as content and metaphor will influence the formal language of the scenography. This is a landscape, featuring innovations a well as controversies. The entire south wall produces panoramas, comments on them, adds content, talks to the visitor, responds to the exhibitions. At the beginning as at the end, we climb up to the belvederes to get an overall view.